This gorgeous puppy is Riley. 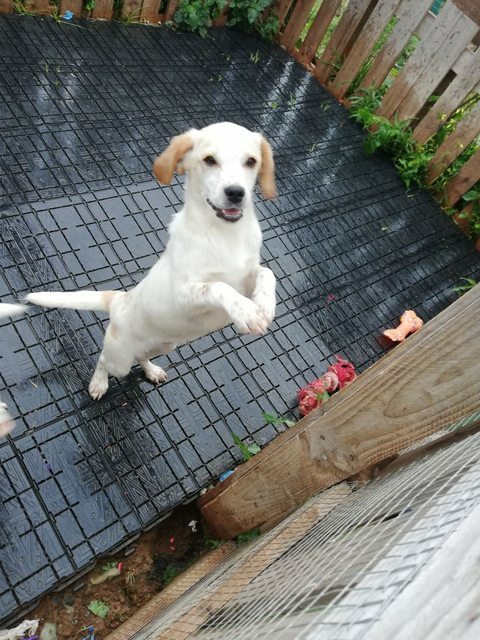 Riley is a 4 month old male Beagle cross Pointer and will be medium sized as a fully grown adult. He is living in a shelter in Cyprus until he has a home to go to. As you can see he is a very handsome boy, and he is playful as all pups should be. Riley is able to travel in May. 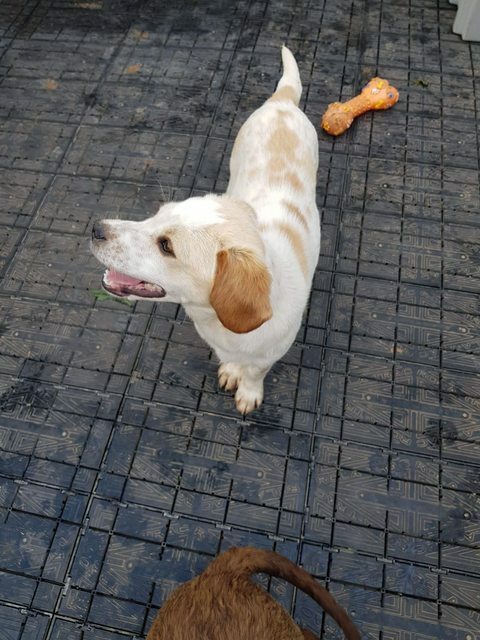 As with all puppies, Riley will need a lot of socialisation with as many adults, children, dogs (puppies and adults), and other animals as possible. He needs to become used to a wide range of events, environments and situations to ensure he grows up to be emotionally well-adjusted and happy in the company of people and other animals. As he is a puppy, with careful introductions he will probably be okay with cats and you can see he is fine with children. 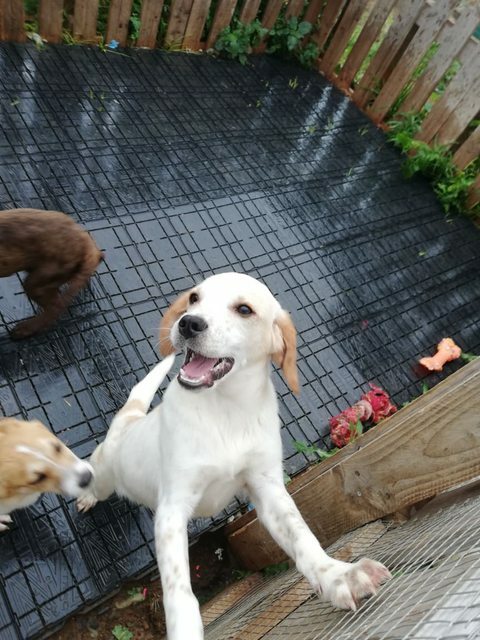 Like all puppies Riley will need to be lead trained and house trained, and will take up a lot of time, so we are looking for someone who is home most of the day. This is his story: a lady found them in the middle of the road 2 months ago, she tried to find homes for them but without luck. She couldn’t keep them any more so they ended up at the shelter around 2 weeks ago. 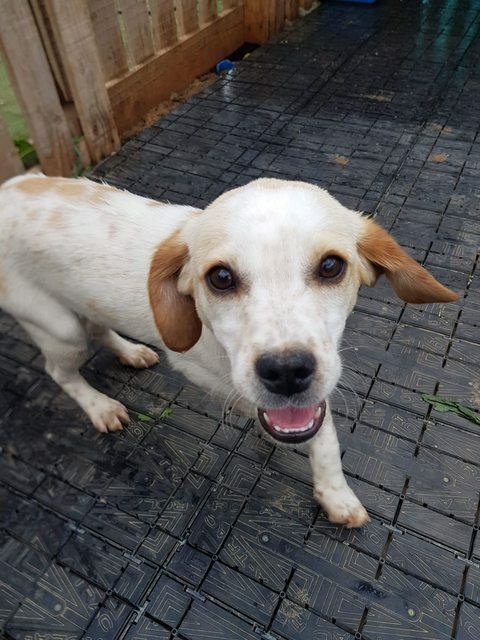 His sister in the video has been rehomed in Cyprus. Riley is too young to be neutered, but this needs to be done as part of our adoption contract. He will be fully vaccinated and chipped. Neutered, fully vaccinated and microchipped. Homecheck and Adoption fees apply. Riley would travel by plane from Larnaca to Paris, and would then travel by van to your home. 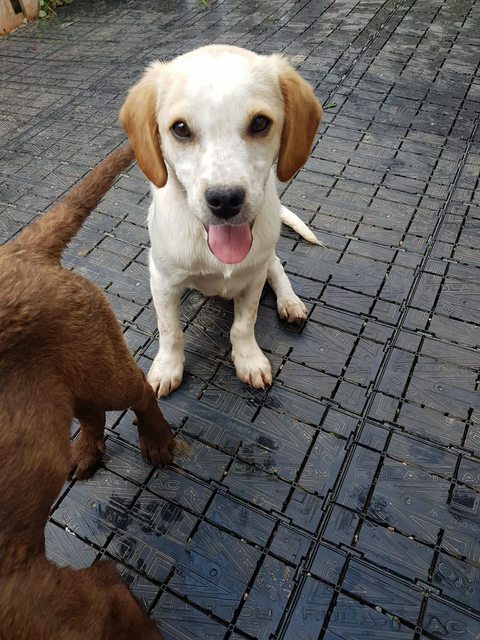 If you think you can give this lovely puppy dog a home, please get in touch.